Lighting and electricity poles open a wide sphere of action for creative city ads. 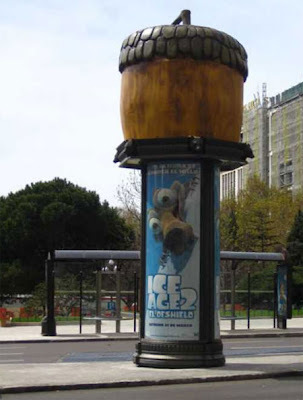 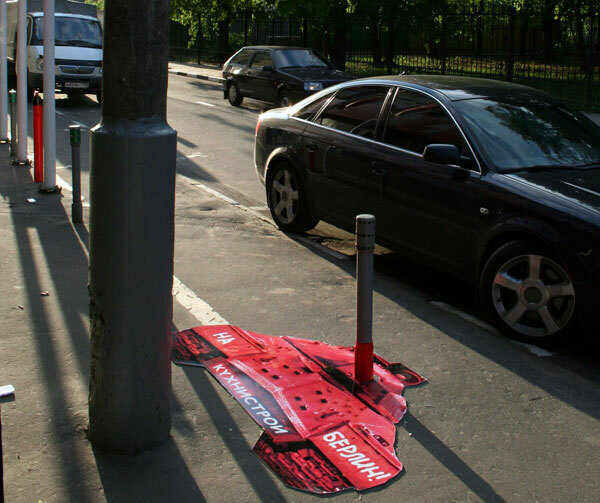 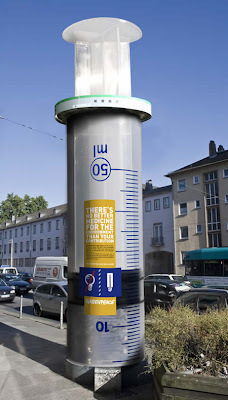 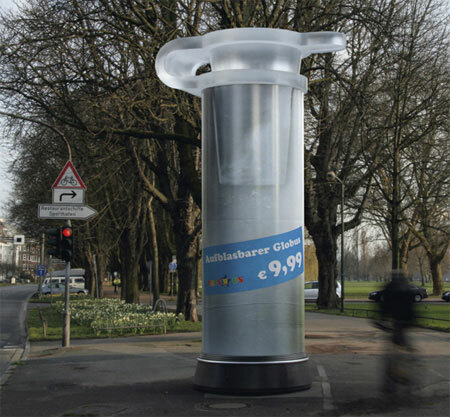 Creative advertisers around the world are now posting ads on street columns, poles and pillars to catch your attention. Here are a few advertisements that have used these poles intelligently and cleverly for their advertisements. 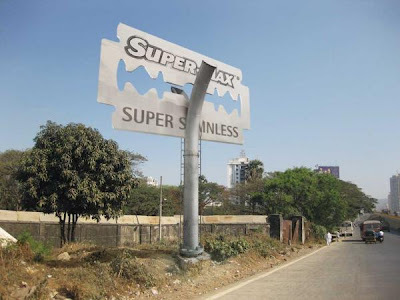 The sharpest blade in the world The Indian unit of Publicis Ambience has placed billboards along the roads of Mumbai, in which the role of the board itself is a giant blade. 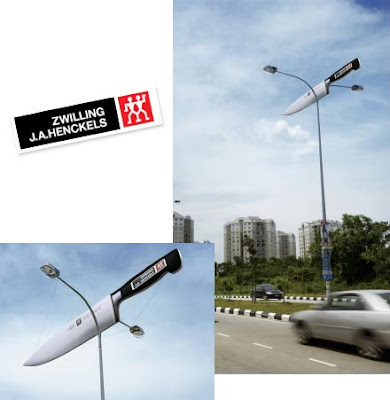 The sharpest knife in the world Knives Zwilling, being the right size, might even cut the pole. 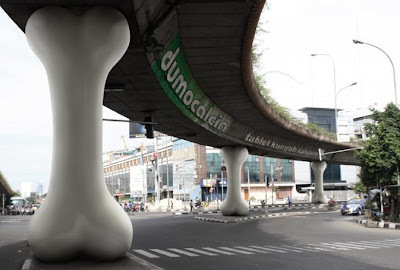 The supporting bone Agency Publicis Jakarta adverted calcium tablets Dumocalcin on support transport interchange. 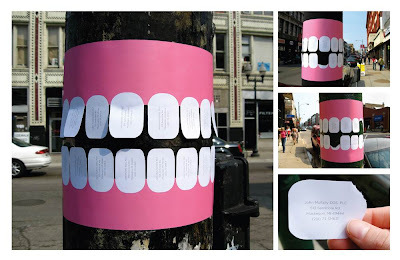 Dentist Telephone Pole Flyer With Tear-Off Teeth Dr. John Mullaly, a dentist in Muskegon, MI, came up with a creative approach to advertising his dental services by posting telephone pole flyers with tear-off teeth. 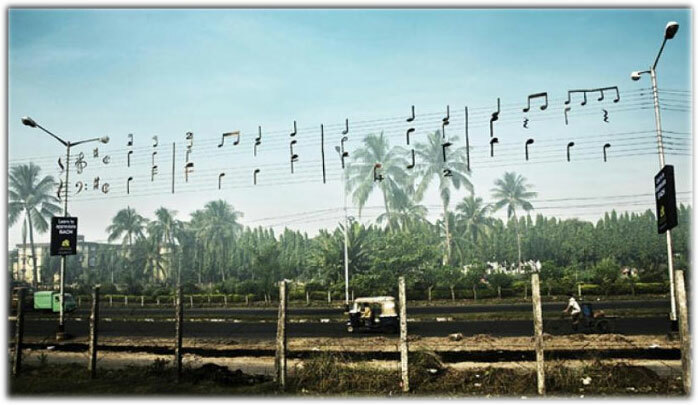 Notes on the wires Music School in Calcutta used electrical wire stave where creatives from Ogilvy & Mother arranged excerpts from the works of Bach, Mozart and Haydn. 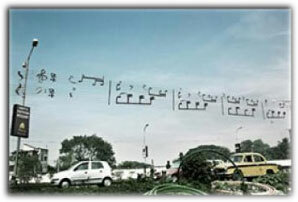 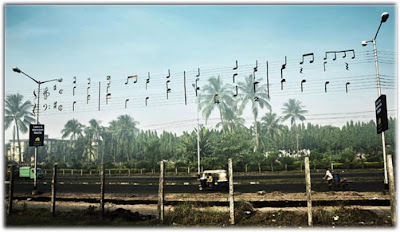 Hairy noses Agency Saatchi & Saatchi Indonesia creatively beat electric wire poles and outdoor trim for the nose. 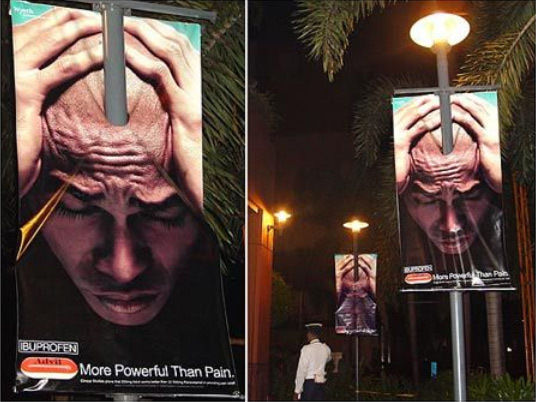 Headache remedy ad on a lighting mast. 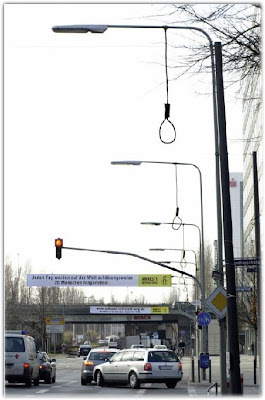 During the Amnesty International campaign the poles in Germany were turned into gibbets. 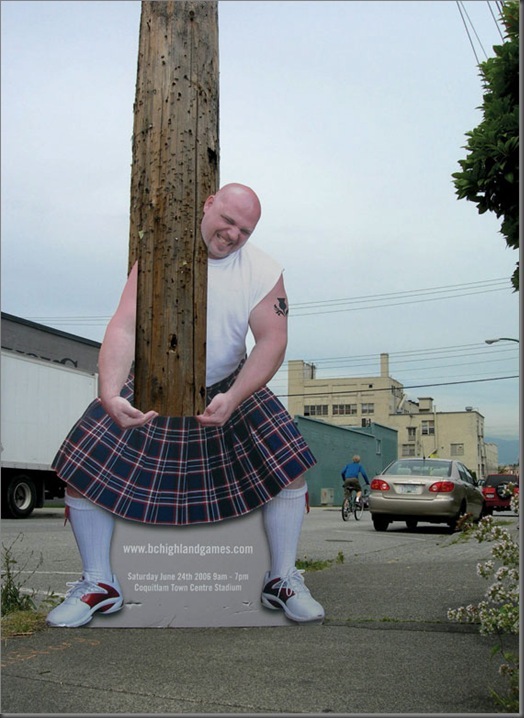 Ad agency Hangar 18 Creative Group from Vancouver created this fun pole ad for the 2005 BC Highland Games. 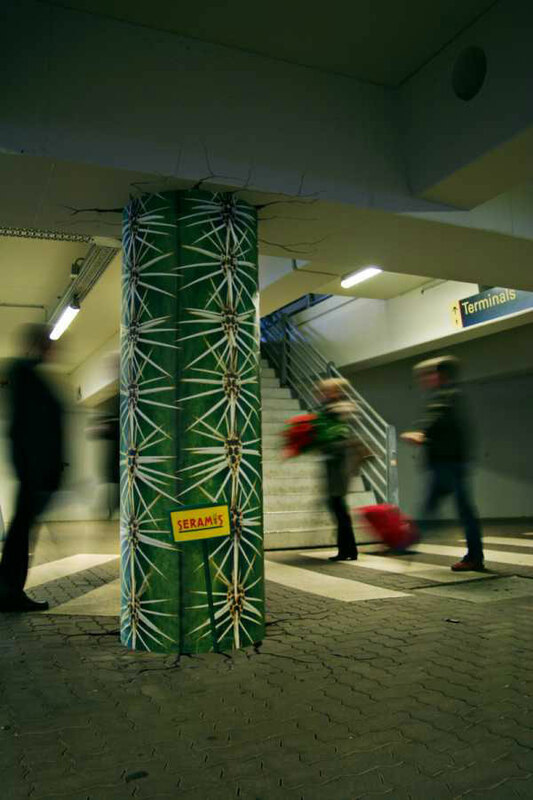 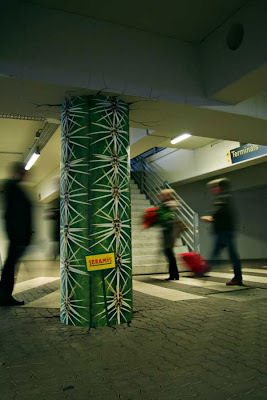 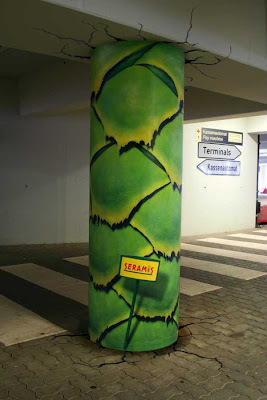 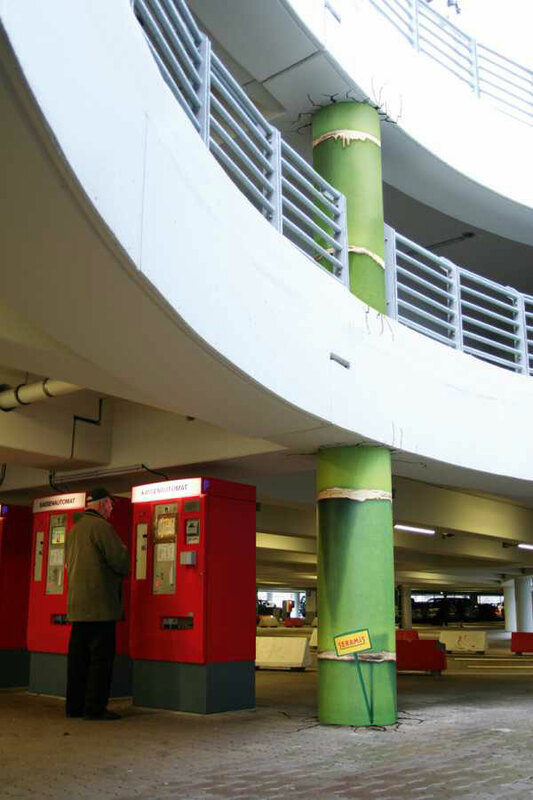 The polesand pillars were turned into bamboo sprouts, palm trees and cactuses during the advertising campaign for the fertilizer manufacturer Seramis. 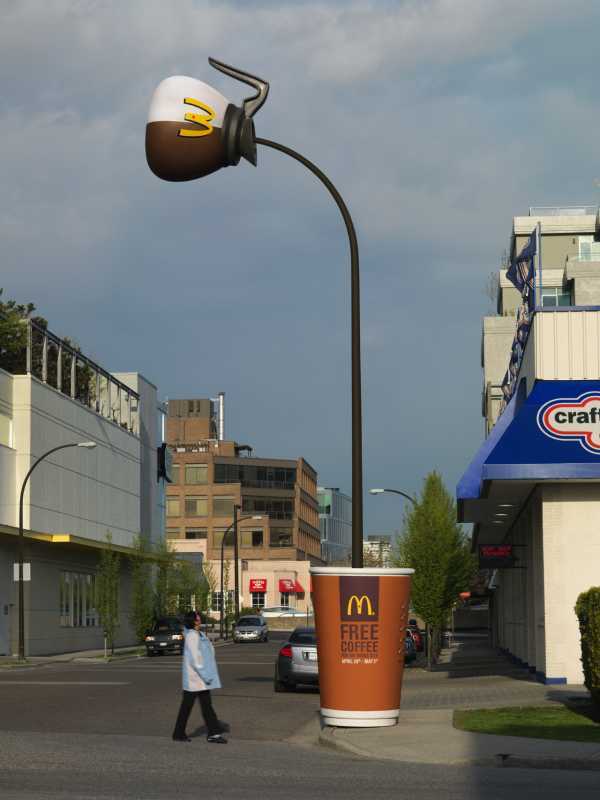 During the period when in MacDonalds one could get a free coffee such a pretty ad was created to tell everybody about it. 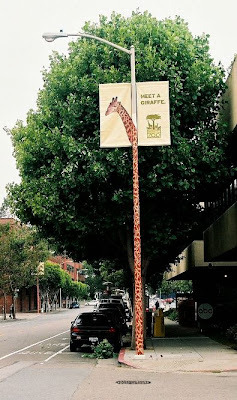 This fun light pole ad, called "Meet A Giraffe," was made for San Francisco Zoo. 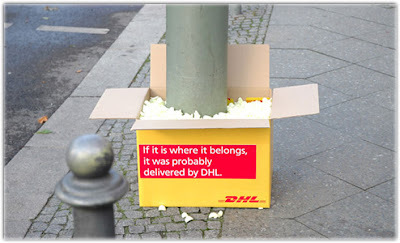 Delivery of the pillars If something is in place, it was probably delivered to DHL. 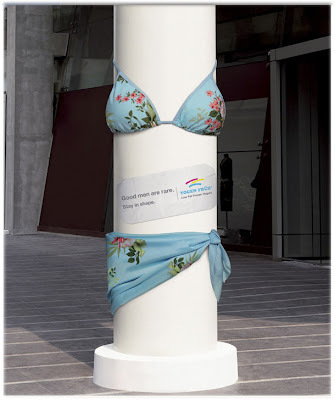 Clever use of bikini & pole to convey the consumers to go for low fat products. 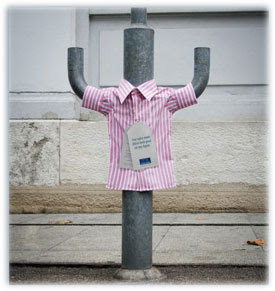 The company specializes in making shirts for people with promlem figure. As one may see from the street ad, they will make shirts for any kind. 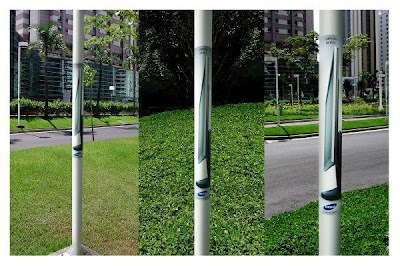 Samsung TV is fully capable to fit in thin lamp posts in Brazil. Agency - Giovanni Sao Paolo. "There's no better medicine for the environment than your contribution" says this Greenpeace advertisement, where the pillar was turned into a giant medical syringe. 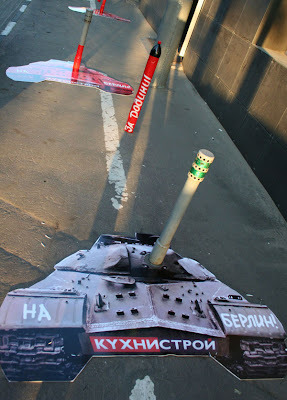 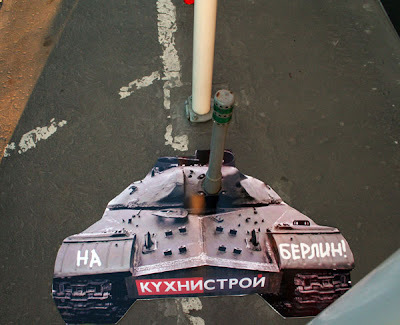 In Russia during May 9th some posts were used as tank muzzles ans military missiles with the slogans “For the Motherland”, “Hitler caput” etc. 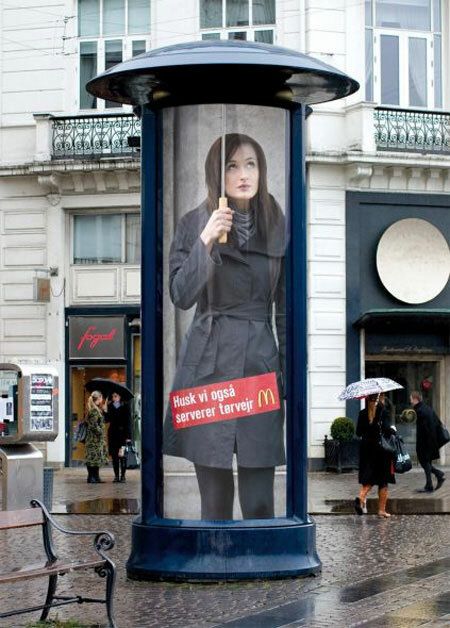 These advertising posts in Danmark indicate that you’ll always find a shelter in McDonald’s. Ice Age 2 advertisement. 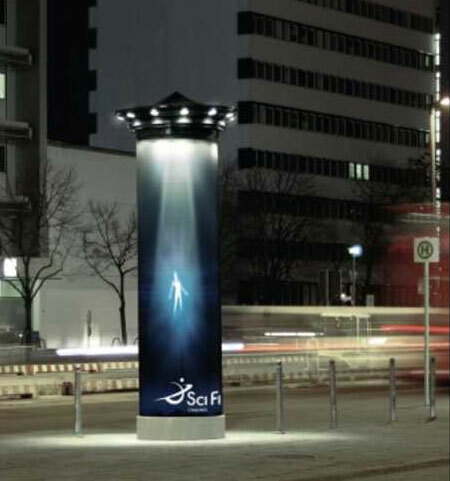 Sci-Fi channel illustrating the UFO invasion. 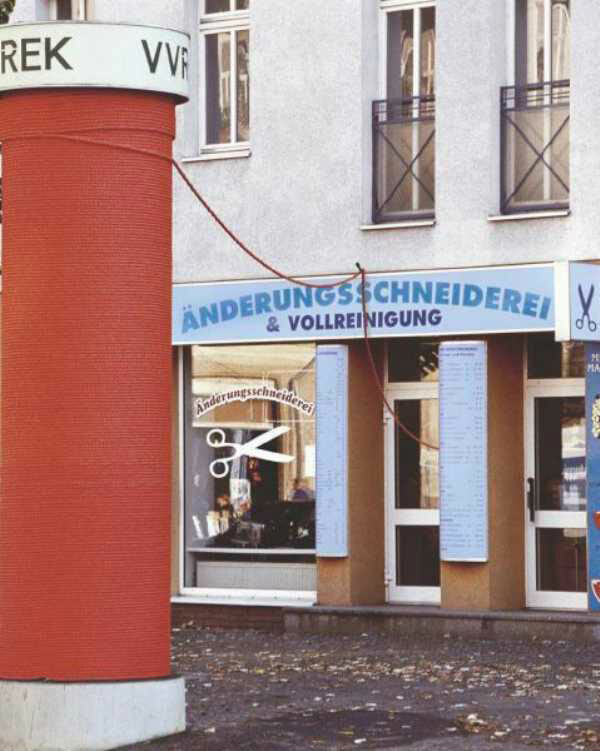 Inflatable beach toys ad. 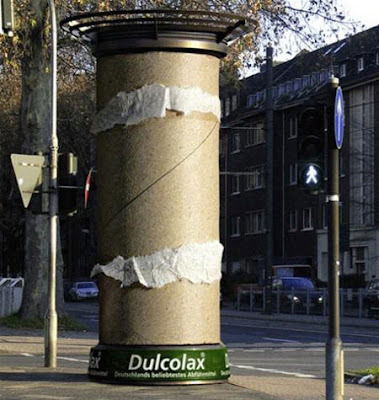 Giant toilet paper roll from Germany. 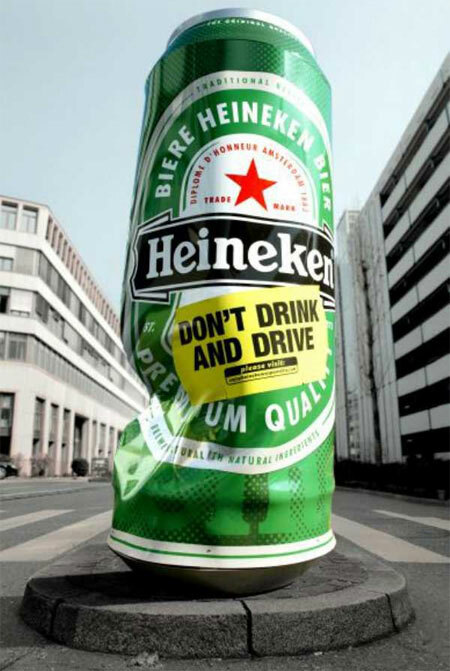 Large Heineken beer can reminds not to drink and drive. 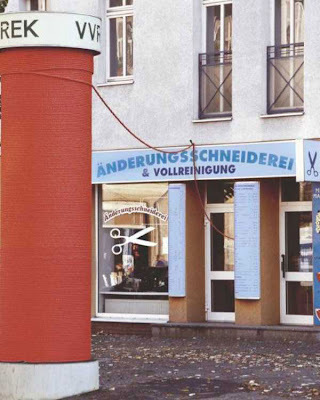 Pole in the form of a spool of thread by the tailoring shop. 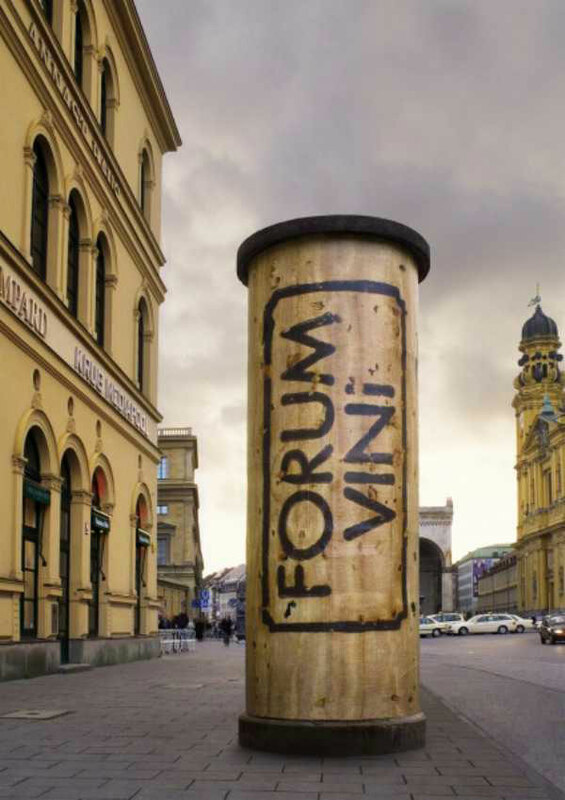 A cork installed at a wine festival. 0 Respones to "Street Poles Turned Into Clever Ads"